Drag Racing, Formula 1, muscle cars, hot rods, trucks, telling stories, girls, internet forums, Jim Beam (white label) and lots of other stuff. R-Spec Typhoon suspension worth it? I've got an Rspec Typhoon and I do track days........one of the best mods I've ever done was to fit a set of adjustable coilovers to it..... Turned an already good car into a great car......;) And don't think you need top shelf ones either.......the ozrace setup I've got on mine does the job just fine.....and the front and rear owes me less than 1500 bucks. There's a lesbian couple living next door to me. Really attractive and fit young ladies. I've got to know them quite well over the last year or so and have helped them out with a few tasks around the house and in the garden. Just before Christmas they said they wanted to thank me and asked what I'd like for a Christmas present. I was surprised when they knocked on my door on Christmas Day and gave me a new Rolex. They must have misunderstood me when I'd said "I want to watch". process west stage 2 instructions? 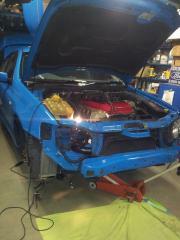 RegSpec replied to SILK RSPEC's topic in FPV PERFORMANCE INC.